This book caught my attention as recently I reached a place where I felt that my life would never be the same, a watershed moment. While reading through this book I found parts that I connected with, but most of the time I felt like I couldn’t keep up with all of the ideas tossed throughout each chapter/section. 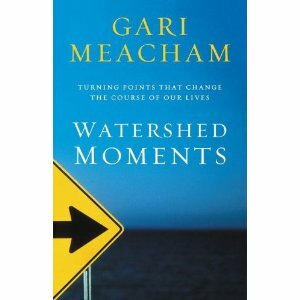 The idea of this book is truly wonderful, but it is full of too many ideas/concepts which are meant to build on the topic “watershed moments”. Instead of building on the title topic, I found myself struggling to keep up with how it all tied back into “watershed moments”. In the short 200 pages there are 7 different “parts”, each part containing 2 chapters. I really wanted to love this book, but struggled to keep up with the ever changing concepts.